Services / facilities within the grounds include a visitor centre, hunting lodge, cafe, shop, children's playpark, woodland walks and deer park. 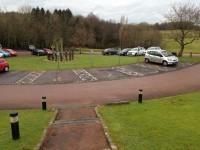 Related link Chatelherault Visitor Centre. Related link Chatelherault Hunting Lodge. 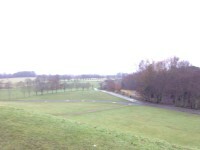 Features of the park also include the ruins of Cadzow Castle, The Duke's Bridge, The Ancient Oaks Meadow, The Dukes Monument, and the Old Avon Bridge. 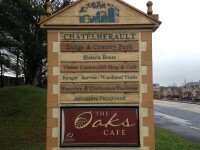 The nearest National Rail station is Chatelherault. 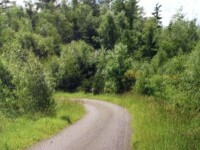 The bus stop is approximately 700m from the Visitor Centre and the Hunting Lodge. 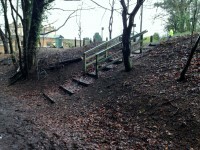 You are on Opening Times (Country Park). Skip to the next section. 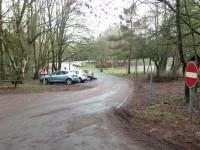 The car park is located off Carlisle Road, 100m in front of the Visitor Centre. 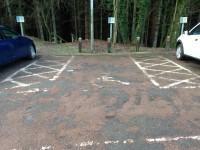 The dimensions of the Blue Badge parking bay(s) are 550cm x 500cm (18ft 1in x 16ft 5in). The nearest Blue Badge bay is 30m (32yd 2ft) from the visitor centre entrance. The furthest Blue Badge bay is 200m (218yd 2ft) from the visitor centre entrance. 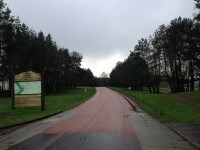 The drop off point is located at the front of the visitor center. 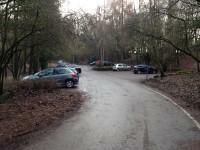 Additional parking is available in the overflow car park, which is located to the right as you enter the country park. 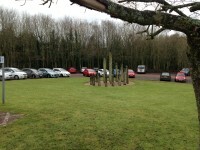 You are on Parking (Functions Car Park). Skip to the next section. 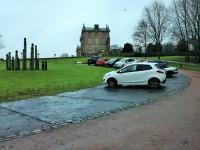 The car park is located to the rear of the Hunting Lodge. 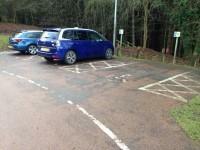 The dimensions of the Blue Badge parking bay(s) are 460cm x 500cm (15ft 1in x 16ft 5in). 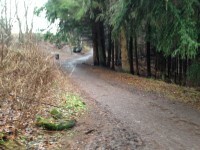 The nearest Blue Badge bay is 150m (164yd 2in) from the courtyard entrance. The furthest Blue Badge bay is 160m (174yd 2ft) from the courtyard entrance. 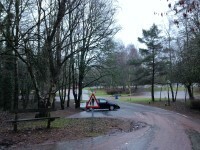 The car park closes at 17:30 every day. This information is for the entrance located on Carlisle Road. 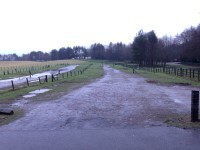 This is the main driveway entrance to the park. 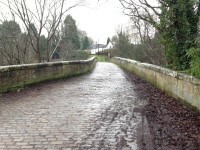 Old Avon Road, Sunnyside Road, Millheugh and Barncluith Road. 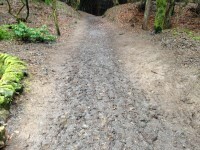 The path(s) has a / have compact earth, tarmac and muddy surface(s). 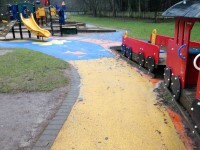 You are on Children's Playpark. Skip to the next section. 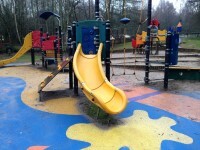 The children's playpark is located within the woodlands car park area. 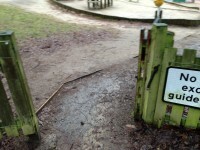 Access into the park is via a single width gate that opens away from you (push). 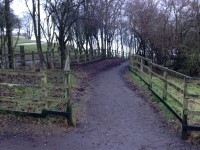 There is a similar gate located on the other side. 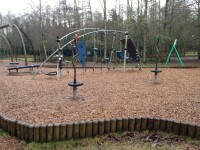 The play equipment is varied to suit all ages and abilities. 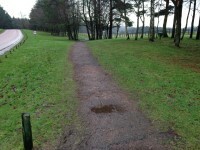 The ground surface varies from bark rubberised resilient surfacing and grass. 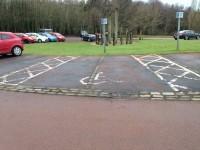 The nearest accessible toilet is located in the Visitor Centre. 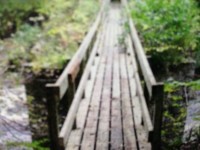 For more information please refer to the Visitor Centre access guide. The nearest standard toilets are located in the Visitor Centre. 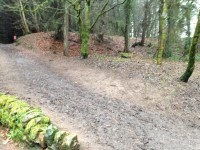 For more information please refer to the Visitor Centre access guide.